The days of minivans lined up at youth sports practices and in a school’s car pool lane are mostly gone. Those spaces are now occupied by crossover SUVs. 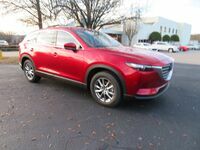 Mazda used to produce a vehicle in that obsolete class but have since moved on to build three of the most sough-after crossover SUVs in the modern automotive industry. However, there are still a few manufacturers out there that are holding on to the past. A comparison of the 2019 Mazda CX-9 vs. 2019 Kia Sedona shows potential buyers a few of the most important reasons why most carmaker’s, like Mazda, have discontinued minivans in pursuit of a better crossover SUV platform. 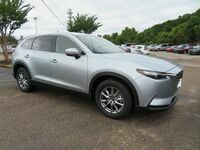 The 2019 Mazda CX-9 is currently available at the Gwatney Mazda of Germantown showroom and potential customers can schedule a test drive today by calling, 833-241-6312. Despite the fact that the 2019 Mazda CX-9 and 2019 Kia Sedona occupy different classes of the automotive industry, there is still quite a few similarities between the two which will make them rivals. Obviously, by the very nature of the new Sedona being a minivan, it’s naturally going to have an advantage in cargo room. Although the 2019 Mazda CX-9 is a still a strong performer with up to 71.2 cubic-feet of cargo volume. 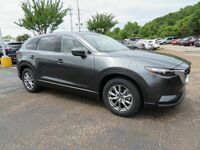 When a driver needs to move a lot of people, the 2019 Mazda CX-9 is able to match the 2019 Sedona head-on. The new three-row Mazda crossover SUV can accommodate up to seven passengers – matching the base Sedona’s capacity. For what it’s worth, the maximum seating capacity of the Kia Sedona accounts for one extra passenger compared to the Mazda vehicle. 3,500 lbs. Max. Towing 3,500 lbs. All four trim grades of the 2019 Mazda CX-9 use the same powertrain. Under the hood of the newest and largest crossover SUV the automaker is a turbocharged, SKYACTIV®-G 2.5-liter, four-cylinder engine that can make up to 250 horsepower and 310 pound-feet of torque. It is attached to a six-speed automatic transmission and can be outfitted with all-wheel-drive. The 2019 Kia Sedona employs a naturally aspirated V-6 engine and it does make a bit more power with a peak output of 276 horsepower. 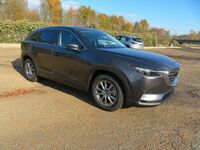 However, the 2019 Mazda CX-9 is able to offer significantly better fuel economy scores and both vehicles have a maximum towing capacity of 3,500 pounds.